A shoe that goes with EVERYTHING that’s more comfortable than most; that’s what you get with the Born Banshee. This women’s slip on has an upper made of suede and fabric with a contrasting strap for a touch of modern style. The fabric lining is easy on a barefoot and the slip-on design makes the Banshee just as convenient as it is comfy. 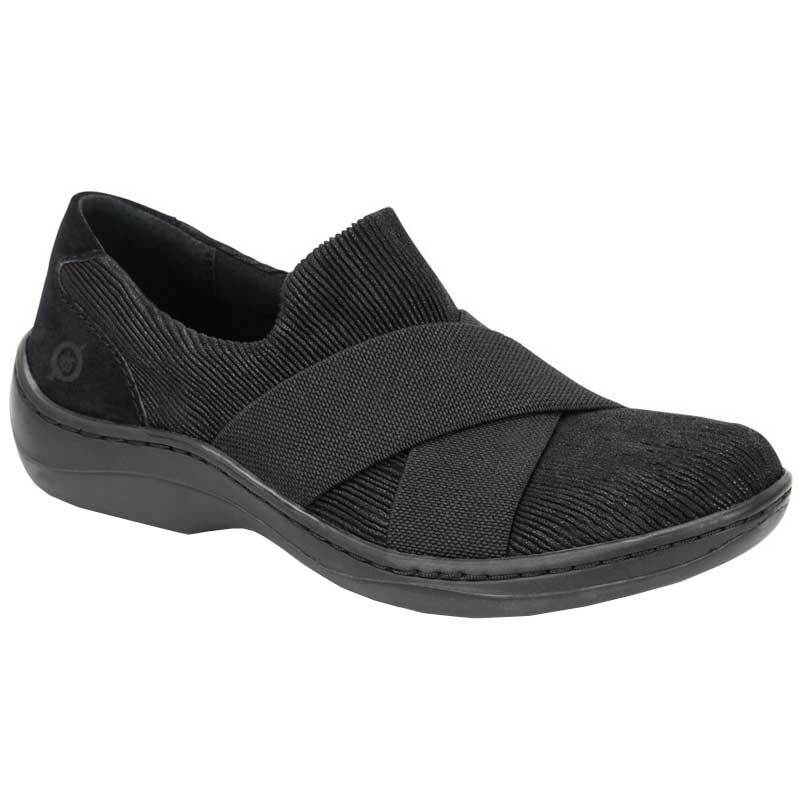 With a generously cushioned footbed and Born’s Opanka construction, you are sure to get all day comfort. Finished with a rubber outsole for traction, the Born Banshee has it all. I was looking for a supportive, comfortable shoe and saw the Born Banshee in my town. I thought it looked unflattering but they convinced me to try it on. Instantly I knew it is what I wanted for my feet and it felt warm and supportive. My local store didn't have it in black. Found it online at Dodds for a better price and no hassles. Shoes arrived in 2 days and have been used every day since. These are great shoes. Very comfortable!! Great support! Can wear with anything. This is my 2nd pair. they run small so I sent them back. They are more accurately, too narrow.